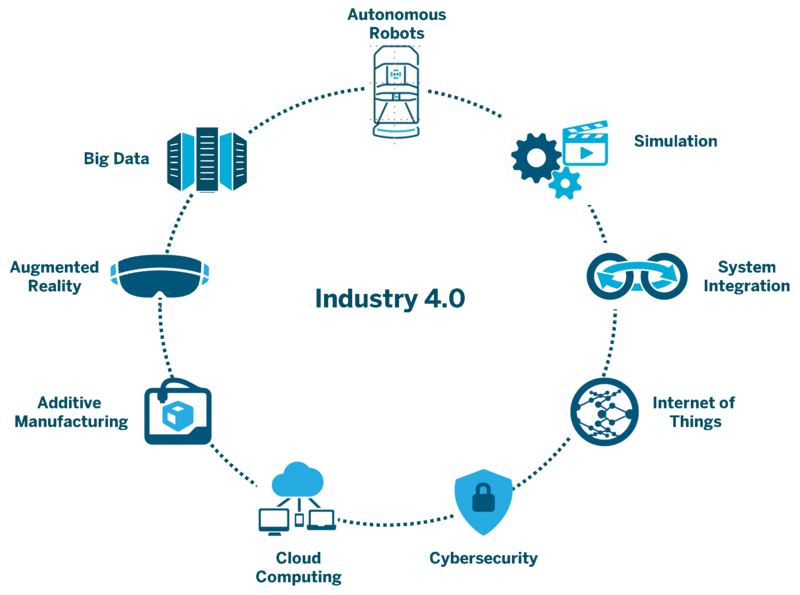 The concept of Industry 4.0 or fourth industrial revolution, originates from the application of digital technologies in the manufacturing environment and in the chain value of a company. The basic principle of Industry 4.0 is that interconnected systems and machines form an intelligent network that covers the entire value chain. Below are several examples of application of these principles through the manufacturing value chain. Each element of this process can enjoy the benefits offered by Industry 4.0. The use of information and design technologies that facilitate the connection between the physical and the digital world allows from the application of information analysis tools to obtain relationships between data, to collaboration between systems and physical devices (machine-machine connections, product -machine, machine-system, etc.) to create the so-called intelligent industry or direct communication with the end user, thus achieving the optimization and interaction of the processes of research and development, design, production, logistics and the provision of services. 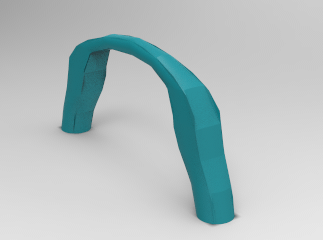 CAD / CAM systems are relevant in this new revolution since they will allow to redesign, simulate and monitor models to be produced without having to stop a production line. 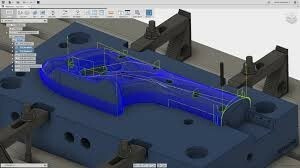 For those who do not know, the acronym for CAD/CAM is (CAD) “computer aided design”, and (CAM) “computer assisted manufacturing”. Both are systems that are used to carry out designs and fabrications of shoes, electrodes, quality control, etc., with the use of a computer that allows to create and satisfy the needs of many graphic design companies, and management of bases of data that also seeks to control machines in a computerized manner. 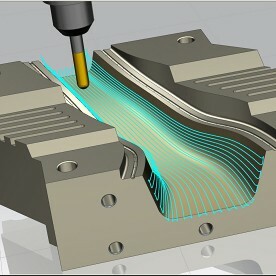 Currently the “CAD / CAM” system is seen as a unique discipline; whereas when both methods were created, the CAD at first was a computer technology coming from the engineering but the CAM on the other hand, were seen as a semiautomatic science that allowed the mastery of machines numerically. 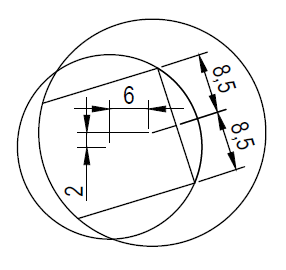 Computer-aided design “CAD” is a computational tool that benefits many designers, architects and engineers, with the use of two 2D drawing programs (it uses vertical geometric entities such as polygons, arcs, lines and points to operate with a graphic interface), and 3D modeling which allows adding solids and surfaces. On the other hand, computer-aided manufacturing “CAM” is a technology that uses computers to assist in the manufacture of a product. It is said that the CAM is part of the system of quality control, administration, scheduling and process planning. The data can be transferred to other programs to obtain presentations, reports and calculations. It allows creating and locating the set-up of NC programs that facilitate the production of efficient machining. It allows to maximize complete ranges of production equipment such as: electrical discharge machining, high speed and tornado machines. 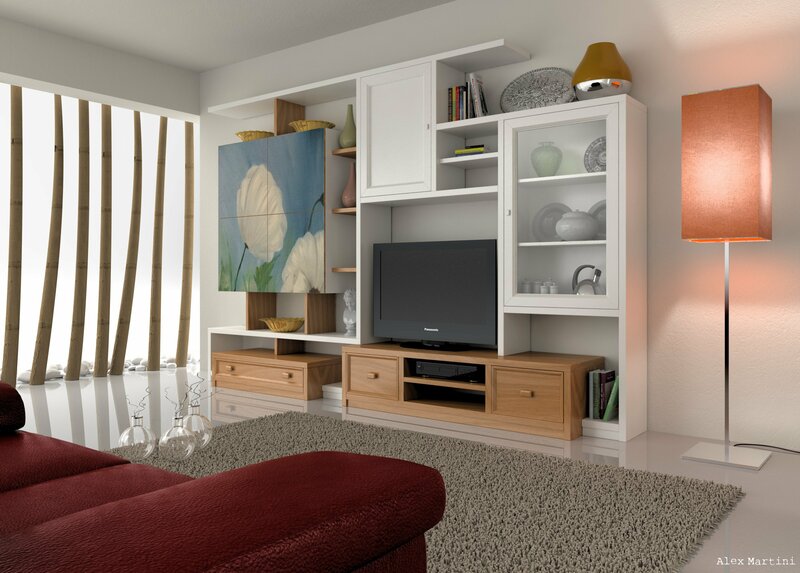 It allows for more effective product design practices, and in turn allows simple use of data designs. Aeronautics: reductions in fuel consumption, improvements in the management effectiveness of the staff in flight, reductions in delays and cancellations, more efficient management of maintenance plans and spare parts in general, and optimization of flight schedule. Rail transport: real-time diagnosis of equipment, improvement of predictive maintenance and optimization of resource allocation decisions according to passenger volume. Production of electricity: reduction of risks of lack of supply, “Internet of electricity” balancing the needs of power generation according to the needs of consumption in real time, and, in general, many of the concepts referred to the improvement of Maintenance plans would also be applicable here. Gas and oil distribution: decrease in the cycles of placing the products on the market and the cost associated with development, operations and maintenance, substantial improvements in safety and environmental aspects, reorganization of available capacity, adapting it better to demographic needs, development of local infrastructures accessing a logistics of remote management, improvements in the action before temporary, earthquakes or other natural phenomena that may endanger the distribution. As you can see Industry 4.0 provides manufacturers with a paradigm shift in the way they operate their businesses. As technology continues to push forward, the integration between physical manufacturing and intelligent digital technology will be ready for more transformative growth. Industry 4.0 will continue to promote the increasing CAD/CAM computerization and integration of industrial systems. The industry is evolving in a high demanding rate in which customers demand a flexible production with a lean manufacturing focus. The revolution industry 4.0 demands all machines to have a networking process in which the product is able to modify the process if needed in order to build a flexible production line. 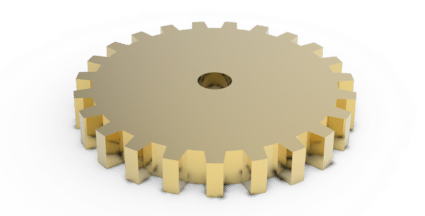 Online CAD/CAM modification according to each specific product is an advantage for product personalization. This is a huge step in the manufacturing industry which will allow to optimize the resources of the company and supply chain suppliers while providing the customers with a complete quality product which can be easily adapt to the needs of current society. 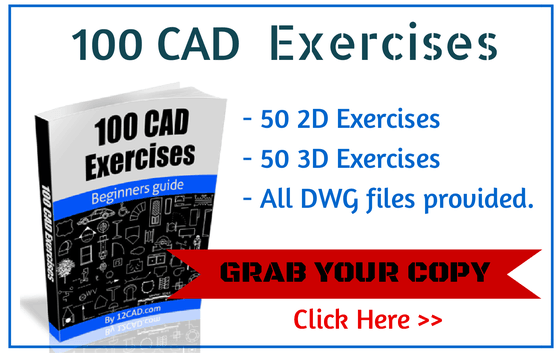 Computer Aided Design is used primarily by Designers What is the Best Laptop for AutoCAD? HFSS Antenna Design Tutorial What drone for what purpose?